Dr. Amanda Black is a Professor of Obstetrics and Gynecology at The University of Ottawa. She completed her training at the University of Western Ontario, the University of Ottawa, and Queen's University, and a Masters of Public Health at Johns Hopkins University. She holds appointments at The Ottawa Hospital and the Children's Hospital of Eastern Ontario and is an Associate Scientist at the Ottawa Hospital Research Institute. Her subspecialty areas of interest are Contraception/Family Planning and Adolescent Health. She is an active member of the Society of Obstetricians and Gynecologists of Canada (SOGC), has authored several national guidelines, has developed many educational programs, has presented nationally and internationally, and authored numerous publications in her field. 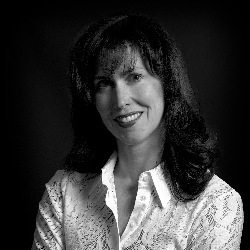 Dr. Black holds the Dr. Elaine Jolly Chair in Women's Health Research at The University of Ottawa. She has participated in a number of international clinical trials, database studies, and investigator-led clinical studies. Her research focuses on new contraceptive methods, contraceptive use and trends in Canada, access to family planning services, and adolescent sexual health. Black AY, Guilbert E, Hassan F, Chatzitheofiliou I, Jeddi M, Filnenko A, Trussell J. The Cost of Unintended Pregnancies (CoUP) in Canada: Estimating Direct Cost, Role of Imperfect Adherence, and the Potential Impact of Increased Use of Long-Acting Reversible Contraceptives. J Obstet Gynaecol Canada Dec 2015; 37(12): 1086-1097.